Rising Brent prices and a falling rupiah have left the country choking on fuel costs. It was once an OPEC member and net exporter, but now imports almost $1 bln of crude monthly. Even with a fresh interest rate hike, Jakarta can take fiscal steps to ease its energy pain. 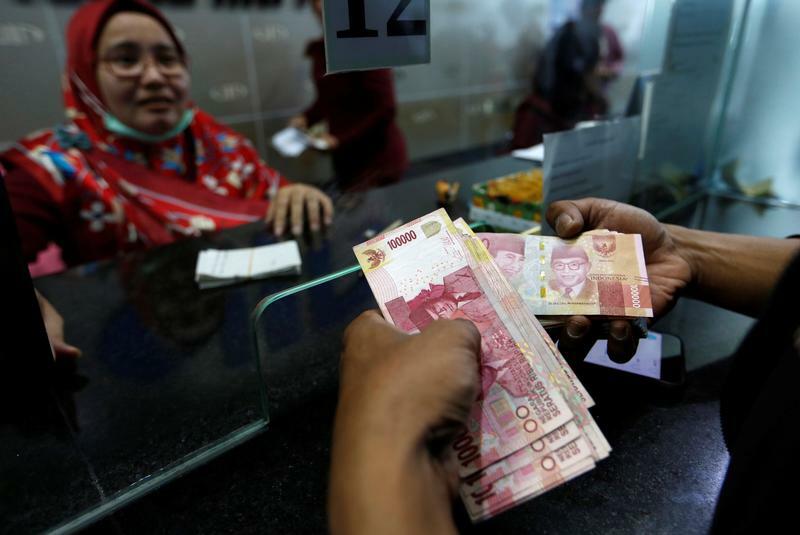 A customer holds Indonesian rupiah bank notes at a money changer in Jakarta, Indonesia August 13, 2018. Indonesia’s central bank said on Sept. 27 that it would increase its seven-day reverse repurchase rate by 25 basis points to 5.75 percent. The country’s current account deficit widened to $8 billion, or 3 percent of gross domestic product, in the second quarter, from 2.2 percent in the first quarter. The April-June gap was the widest since the third quarter of 2014. The Indonesian government said on Aug. 14 that it would require all oil contractors in the country to sell their crude output to state energy company PT Pertamina.